Record Day in the Hammock! The timing was nearly perfect for an exciting day in Hammock Park last Sunday. The front passed through on Friday with lots of rain then Saturday it cleared with cool air and wind. There were birds reported all over the place on Saturday which boded well for our banding on Sunday morning. We got the 12 nets up in record time and our first net run at 7:30 yielded around 25 birds. After that, the extractors were kept very busy checking nets and returning with birds. The total for the day was 67 birds captured. 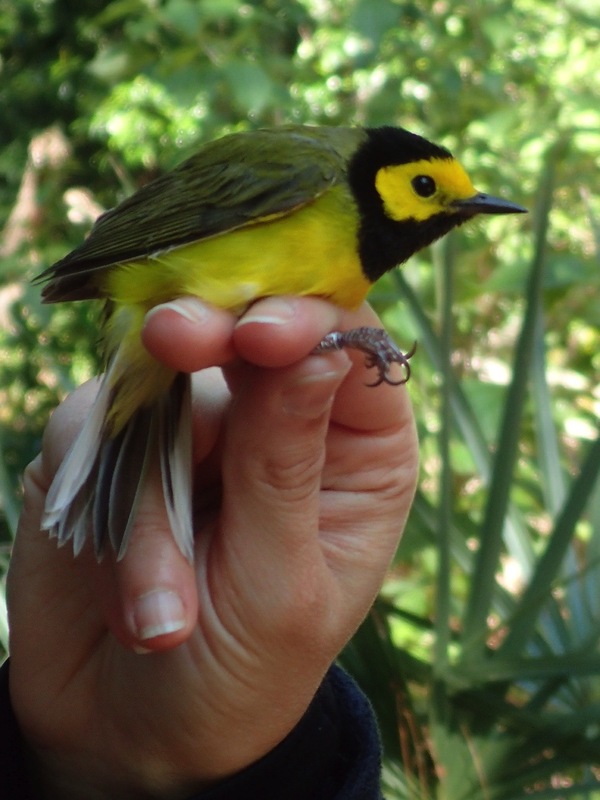 The big “winner” was the white-eyed vireo with a total of 36 which was quite amazing. It seemed like everywhere you looked there were white-eyed vireos! The other highlights were catching 2 Swainson’s warblers, 6 Wood Thrushes and a number of Hooded Warblers (mostly male but a few females). Probably the best part for me as the bander/project leader, was seeing the dedicated volunteers rise to the challenge without missing a beat. We also had as many as 25 people visiting the station at one point so that was very rewarding to be able to introduce the public to the importance of bird banding as a conservation tool. 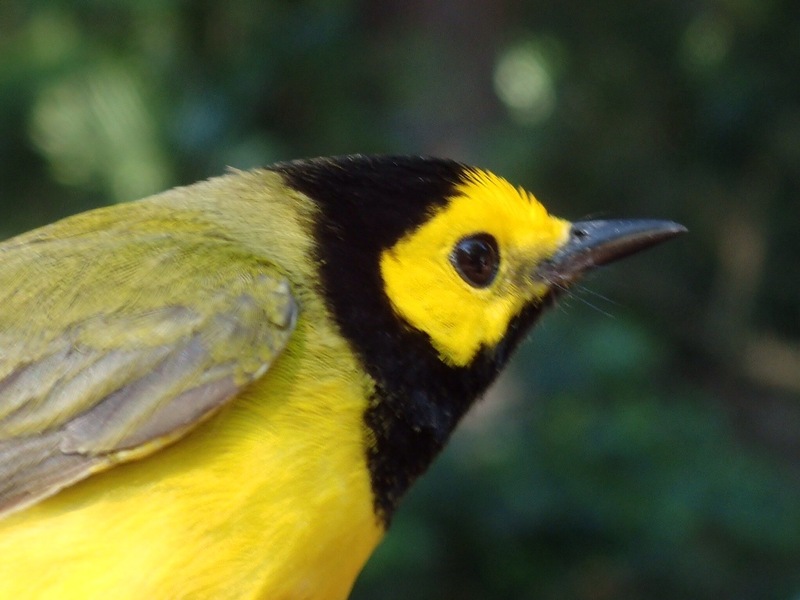 We had several gorgeous male Hooded Warblers in peak breeding plumage. Very handsome! Visitors were able to appreciate seeing all sides of these birds. 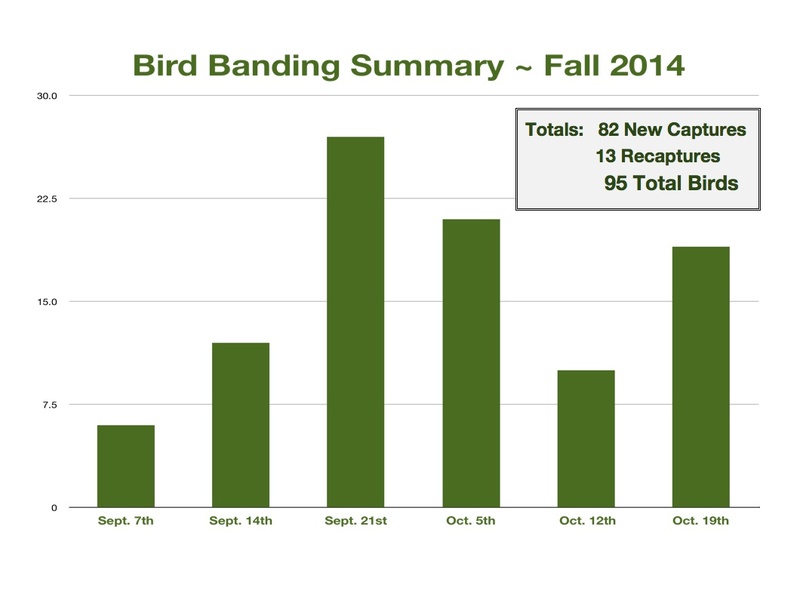 We had a respectable fall of banding with a total of 95 birds including 13 recaptures. This wasn’t our highest season but we did pick up a few new species to the station.